Golden Knights forward Ryan Reaves has proved his fighting prowess on the ice throughout his career. 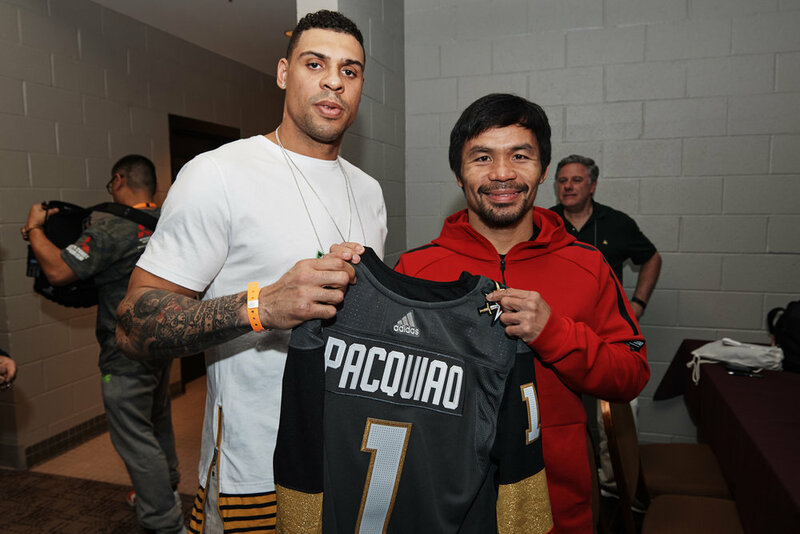 Reaves is an avid boxing fan and went to see the weigh-in for the upcoming fight between Adrien Broner and Manny Pacquiao. Reaves and A’ja Wilson of the Las Vegas Aces stood together on stage as Pacquiao and Broner came out to meet ahead of their bout. Each fighter was presented with a custom Golden Knights jersey. Reaves said that he picked Broner to win the fight, but he’s excited to watch the fight after Vegas’ game vs. Pittsburgh is over.